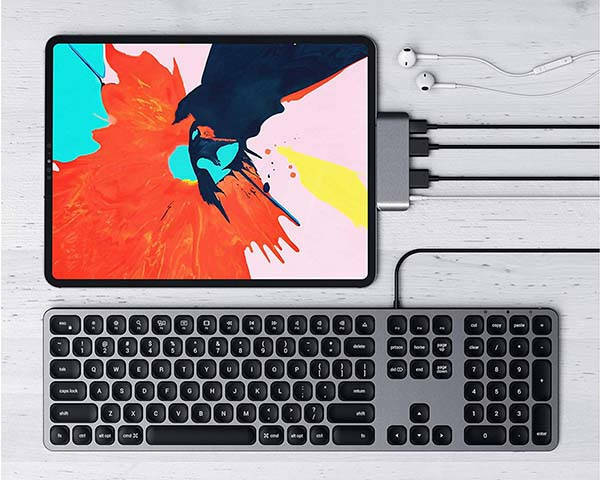 With a compact design and a USB-C connector at the center of one side, the Satechi aluminum USB-C hub perfectly works with all-screen iPad Pro models, Surface Go and other USB-C equipped devices. 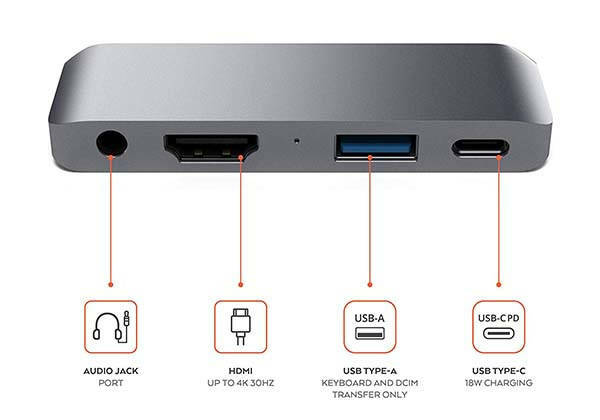 The USB-C adapter measures 3.25 x 1.06 x 0.38 inches and weighs 1 ounce. As shown in the images, it delivers a sleek and minimal appearance design, and the casing is made of aluminum for durability and premium feel. Meanwhile, the slim form factor, smooth contours and two optional colors ensure it perfectly matches with the style of your iPad Pro. 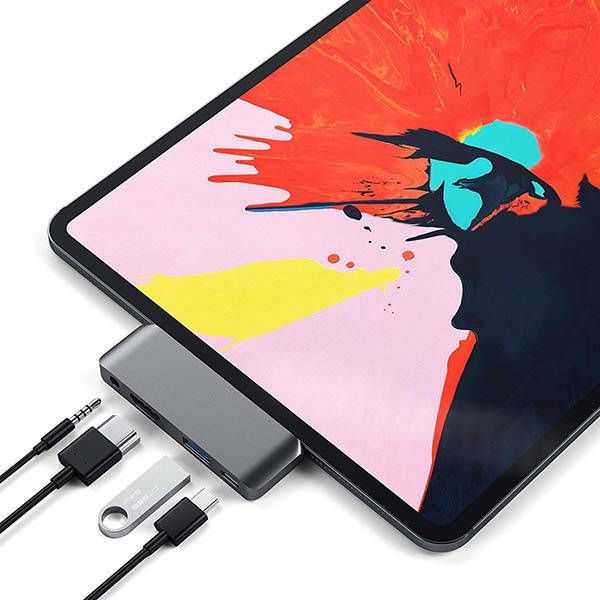 The mini USB-C hub features a USB-C port with Power Delivery technology that allows bidirectional charging to quickly power your iPad Pro or use as a potable power bank to charge your connected USB-C device. Furthermore, a 4K HDMI port allows it to connect with an external display for presentations, conference calls and video streaming. Moreover, it also comes equipped with a USB 3.0 port and a 3.5mm audio output so that your iPad Pro can work with your 3.5mm headphones and other USB devices. The aluminum USB-C hub is priced at $59.99 USD. If you’re interested, jump to the product page for its more details.